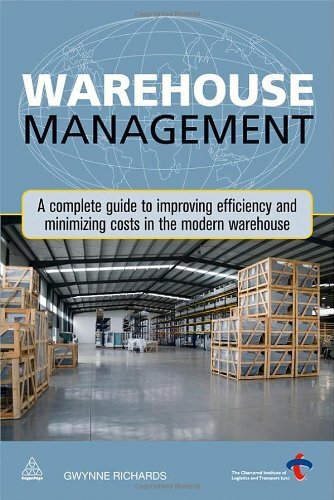 Warehouse Management examines how to operate an efficient and cost effective warehouse. It includes guidance on using the latest technology, reducing inventory, people management and location and design. Warehouses are an integral part of the modern supply chain; involved in the sourcing, production and distribution of goods. Due to the complexities of warehouse operations they can often be one of the most costly parts of the supply chain. Their efficient management is therefore critical in terms of minimizing cost and contributing to an effective and efficient supply chain. Warehouse Management provides a complete guide to best practice in warehouse operations. As well as exploring how to increase warehouse productivity and cost reduction it also includes the latest technological advances being applied to warehouses, as well as information on recent Health and Safety legislation. Other crucial topics covered include; people management, risk, warehouse design and how to operate a third party warehouse. The book is backed up with numerous case studies which demonstrate how to apply new technology, minimize spend and create efficient stream-line operations. It is an invaluable resource for warehouse managers, logistics professionals and students studying logistics. You can find out more about the book over on goodreads by clicking here.